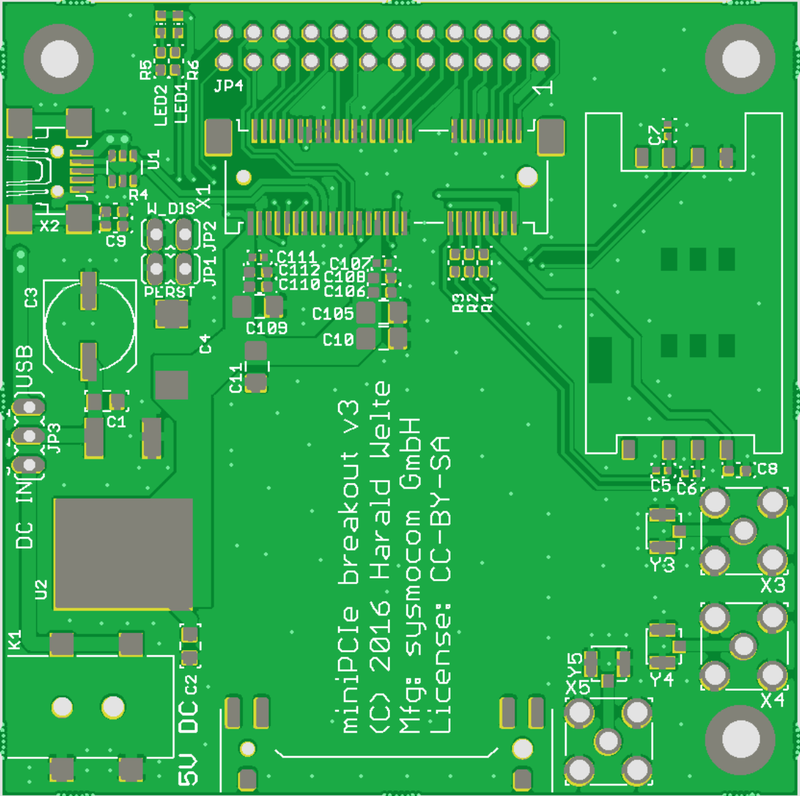 Back in October 2016 I designed a small open hardware breakout board for WWAN modems in mPCIe form-factor. I was thinking some other people might be interested in this, and indeed, the first manufacturing batch is already sold out by now. more meaningful labeling of the silk screen, including the purpose of the jumpers and the input voltage. It will take some expected three weeks until I'll see the first assembled boards. I'm also planning to do a M.2 / NGFF version of it, but haven't found the time to get around doing it so far.